Recognized as a major figure in postwar American painting, Richard Diebenkorn (1922-1993) was an artist strongly identified with California but whose work is beloved throughout the United States and the rest of the world. This catalog is the most comprehensive volume on the artist now available. Jane Livingston's extensively researched biographical essay covers Diebenkorn's entire career and concentrates on the artist's inner life and purposes as revealed in his paintings. Ruth Fine deals primarily with the figurative aspect of Diebenkorn's work (1955-67), and John Elderfield concentrates on the Ocean Park period (1967-93). All three authors provide valuable insights based on their personal relationships with the artist and his widow, Phyllis. On both page and canvas, the reader can sense Diebenkorn's complexity and highly self-conscious working methods, as well as his formidable integrity. 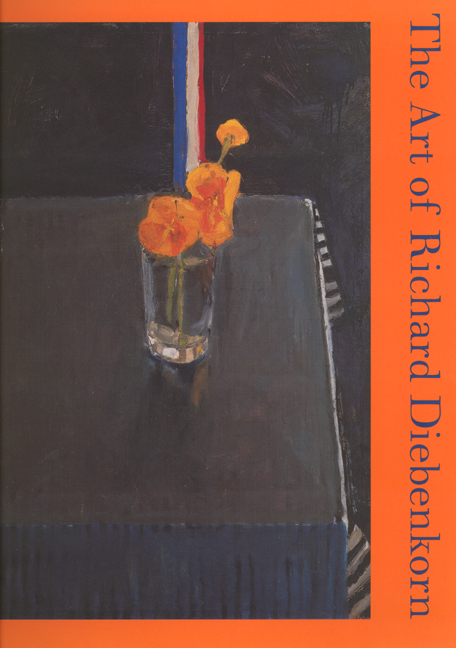 The Art of Richard Diebenkorn will give readers with an interest in all phases of modernism new thoughts about the relationship between abstraction and representation. Stunningly illustrated, with 192 full-color reproductions, this book is an exhilarating testament to a distinctive American artist. Jane Livingston is an independent author and curator living in Rappahannock County, Virginia. John Elderfield is Chief Curator-at-Large at The Museum of Modern Art. Ruth Fine is Curator of Modern Prints and Drawings at the National Gallery.